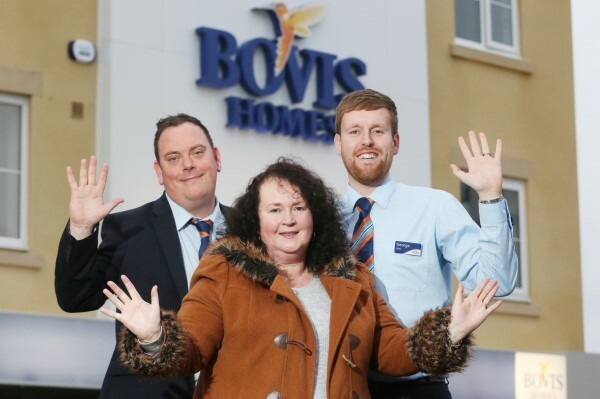 Festive celebrations started early for Maria Kelly after she won a radio competition that has ensured her Christmas is covered this year thanks to local home builder, Bovis Homes. Maria, from Corse in Gloucestershire, has been wishing everyone a "Joyeux Noël" since she identified the phrase as a French festive greeting to land the big prize on Heart FM's morning breakfast show. Listeners from across Gloucestershire will have heard her joyous celebrations on air after she bagged herself £1,500 of vouchers from Bovis Homes. "This has really made my Christmas!" says Maria, a regular Heart FM listener. "I didn't think I had guessed the right answer - he tricked me on the radio - but I was delighted when he said I had won! I couldn't believe it! "I'm going to go and treat myself and have a spending spree with my winnings. I may even get some Egyptian cotton sheets!" To celebrate Santa and his reindeer visiting Bovis Homes' Coopers Edge locations, the home builder was giving away the vouchers in a winner-stays-on competition. Every morning for five days, a listener would guess where in the world Santa was after hearing him bellow "Merry Christmas" in another language. Santa travelled the world, and went to countries including Italy, Greece and Wales. 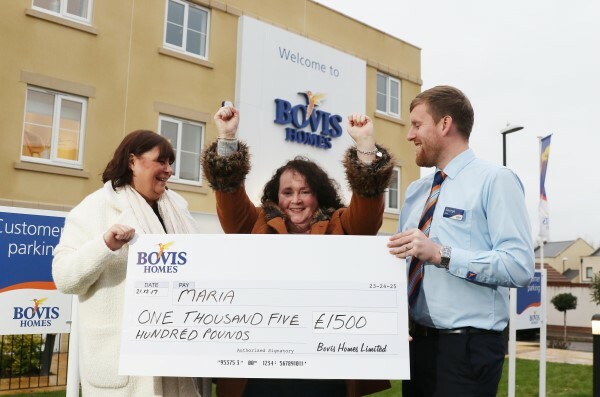 "It was fantastic to help make Maria's Christmas so special and spread the festive cheer," says Bovis Homes regional marketing manager, Stephanie Spry. "Our Christmas event at Coopers Edge was a huge hit and really highlighted the community spirit there. The popular neighbourhood has welcomed many new residents over the years and with its growing number of facilities, locality to the city centre as well as the open countryside, it's easy to see why." Bovis Homes' Coopers Edge locations, Centurion View, Imperial Place and Augustus Park, offers a variety of houses in a range of styles and layouts. From two-bedroom apartments to five-bedroom family homes, the location provides contemporary houses for a modern lifestyle. To find out more about Coopers Edge and Bovis Homes, go to www.bovishomes.co.uk , call 01452 642008 or pop into the sales centre.